A group of MEPs has written to EU leaders asking them to end the warmer policy towards Belarus, which was introduced a year ago. The MEPs wrote: "The EU cannot abandon [the] hopes [of] those thousands of people in Belarus, who, as the recent peaceful demonstrations prove, trust in a democratic and European Belarus, which would respect their [citizens'] dignity and other basic freedoms and rights." The letter was addressed to the presidents of the European Council, Commission and the Parliament, Donald Tusk, Jean-Claude Juncker and Antonio Tajani respectively, as well as the high representative for EU foreign affairs, Federica Mogherini, and the enlargement commissioner, Johannes Hahn. It was signed by 72 MEPs from different political groups from left and right. These include: Elmar Brok (EPP), the former chair of the parliament's foreign affairs committee, Anna Fotyga (ECR), a former Polish foreign minister, and the former EU commissioner, Danuta Huebner (EPP). 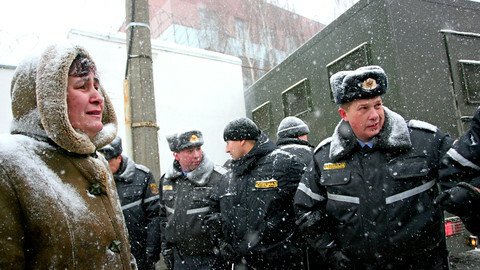 The initiative comes after street protests over the weekend (25-26 March) in Belarus against poverty and corruption. 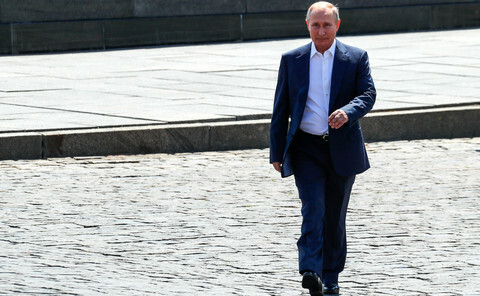 The last dictatorship in Europe has long been subsidised by Russia but that support has been slowing down, as Russia has been facing its own economic problems with lowering oil and gas prices. Last month, the authorities in Minsk passed a tax of €240 a year on unemployed people, also known as the "social parasite law", in a bid to improve their finances. More than a thousand people - including human rights observers, journalists, women and the elderly - have been beaten up by police, arrested and fined in crackdowns on the protests. 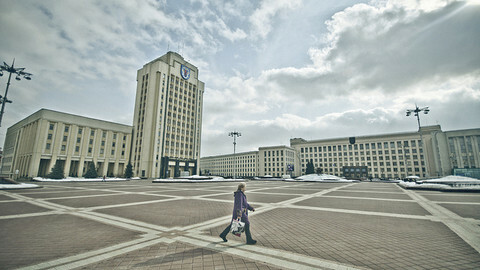 The civil unrest comes one year after the Council of the EU lifted sanctions on certain Belarusian officials in February 2016, which ended a five year freeze on EU-Belarus relations. EU foreign ministers of state said then that "there is an opportunity for EU-Belarus relations to develop on a more positive agenda", suggesting the move could help to move Minsk away from Russia. The MEPs say that this failed to yield any positive results. 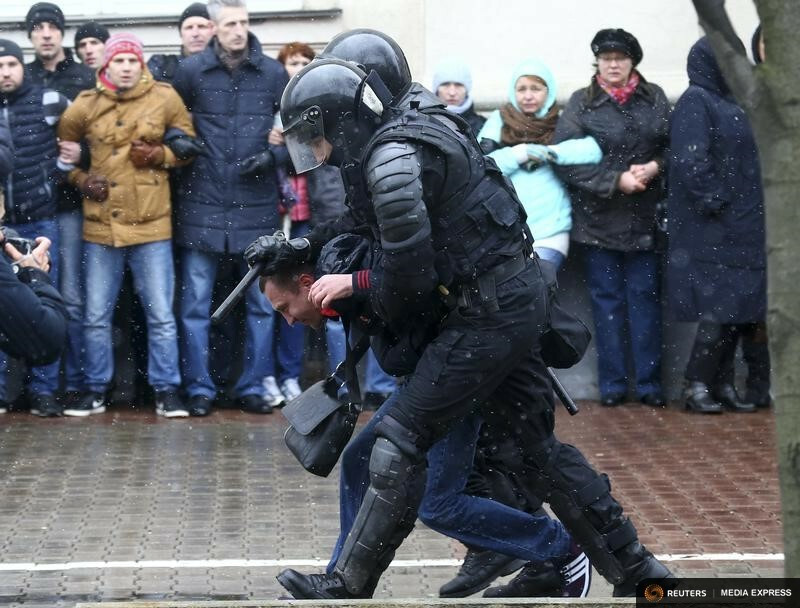 "The lifting of sanctions was reciprocated by yet another falsified election in September 2016, a number of death penalty sentences and executions throughout 2016, including one case already this year, and now by these brutalities and aggression of the special forces in the streets of cities across Belarus," they said. Instead, they want the EU to increase its support to civil society, independent media outlets and democratic forces in Belarus, and to suspend the recently increased EU funds provided to the Belarusian government and other state structures. The bloc should also pass sanctions against all Belarusian officials who were responsible for violence and repression as well as electoral fraud, the MEPs say. Lukashenka: End of an era? The political spring in Belarus ended just as the actual season began, but greater changes loom after 23 years of dictatorship. EU states have opted to dissolve most Belarus sanctions for strategic reasons, but the human rights situation remains "dismal." Lukashenko will never become Gorbachov. If Belarusian people do not stop acquiescing on fake elections and other abuses, change won't come. The surprise elevation of two opposition candidates to parliament is designed to win friends in the West, but if the EU and US reciprocate, they'll be playing into Lukashenko's hands. 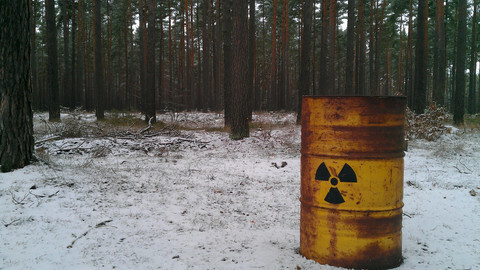 EU should tell Belarus "not a euro-cent more" in aid unless it halts the construction of the Otsrovets nuclear plant, a time-bomb in Europe. 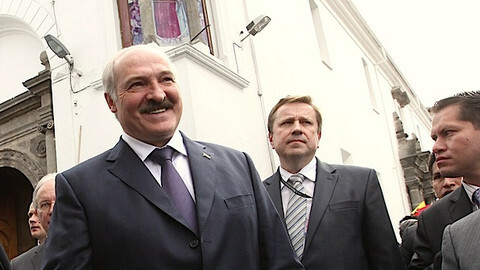 EU has invited Belarusian leader Lukashenko to a summit in Brussels, in a move deemed "scandalous" by some.